Karmarts Plc (KAMART) is a multi-brand, multi-product company focused on the cosmetics distribution business and is listed on the Stock Exchange of Thailand. 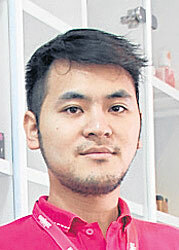 Its business includes a franchise model to distribute its cosmetic products throughout Thailand. Executive director Wongwiwat Theekhakhirikul discusses the company’s strategy and outlook. What type of products does Karmarts offer to its customers?